If the EPO tanks but the AO spikes, the SOI spikes and the PNA crashes, it does none of us east of the Rockies much good. We won't get any powerful storms without a lock down ridge. Too many progressive systems. That second, stronger piece of energy digging into the 4 corners needs to be watched. The models have put to much emphasis on the first piece that ejected north into the Upper Midwest over the last few days. I think this energy will be a player as well. Might have to wait until better sampling is done. The map Tom posted is the best explanation of what I'm saying that you can get. EPO and -PNA dump the cold off into the west but it's not sustainable to produce the effect it would have with a neutral or slightly positive pna. Also if the AO spikes positive during this time frame the cold source gets further shut off. Need the indices in their opposite states to feed/properly suppress the pattern. See that massive block near the Aleutians? As long as its there, the pattern is screwed. It's transient though. As long as storms come off of East Asia and track through the Bearing Sea, the storms will keep coming. Euro holds that energy in the West way to long Day 9/10 and it gets cut off. There should be a "kicker" storm on its heels. My fear is that even if it does get kicked out, it just cuts and or has no relevant cold to work with. Some more recent runs of the GFS are trying to show a different look down the road but it isn't worth much at 14 days out and the Euro is still crap at 10 days. Not trying to be negative but I just think we're in a pattern delay. Kinda mutes the flip we were expecting. Both UKMET/GGEM get the 2nd system down in the low 980's in Eastern WI. GFS is a bit farther east and weaker. Really has no cold air to work with right now though. Need that 1st system to move out faster to get colder air down, but most models are pretty meh on snowfall with it. There's the suppression/energy handoff that is supposed to be present with the teleconnections we have. GFS now has the cold starved version of the same system. True that, if the first one doesn't move out fast enough, it'll be a waste of a storm for the second piece. The arctic air starting to fill up in Canada is starting to cycle and a piece of the PV will come on over this side of the Pole. My target period was December 8th. Looking good for now. Hope we can get a snow cover in place. December 8th is probably a fair call. Old weather lore in the south says thunder in winter, snow in a week. I guess we'll see if it works. There will definitely be some thunder with that system on the 29th. GEFS 00z edition. Not as horrible as I thought they would be. How does it look Tom? It literally just goes up into Minnesota, slams into the block and sits there until it dies. It's strange to say but I think the Euro is an outlier here after having time to go through all the models. Still doesn't make much sense to me. Happy Thanksgiving to everyone here! Wasnt it last year at this time that the CFS was getting ripped? I confess, it does have a tendency to run warm, but it has been doing very well this year. In fact, it's been beating the Euro Weeklies with the overall pattern. 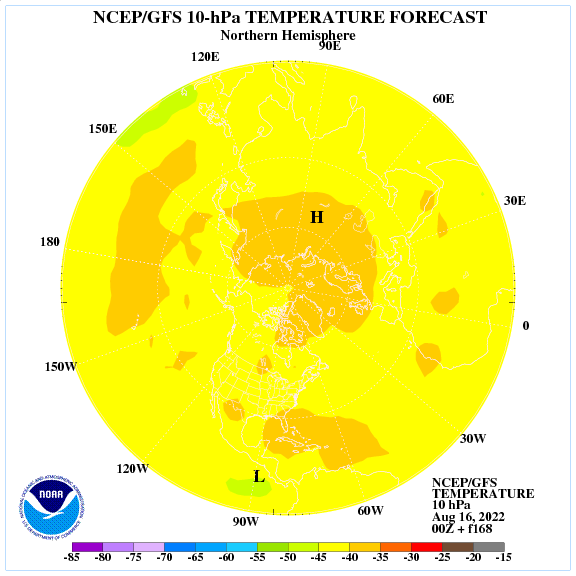 I remember in 2013-14 it saw the cold coming long before any other model. Maybe the upgrade last year or was it the year prior did the model good. JMA Weeklies lining up almost exactly like the CFSv2 weeklies...this would be a winter lovers dream...both models see the trough diving into the west, blocking near Hudson bay and Greenland, jet under cutting the NE PAC ridge during Week's 1 & 2...then Week 3 & 4 it continues with the Greenland Block, but the entire pattern over N.A. may really amplify to the extreme it can go to. Lol. Maybe if I start talking smack about it again it will go 2 for 2. I definitely wouldn't mind a bit. Can't wait for the thunderstorms on Sunday! Might have to dodge lightning while I'm up on the ladder! Does that mean we get a monster bombing phaser later this season? Please? That system on Day 10 is looking better and better. Has been consistent for a system so far away. Indeed, once that trough becomes established and cold air penetrating south into the lower 48, could be the big storm that unloads the arctic hounds into the central/western CONUS. Not too shabby. Here's hoping it doesn't disappear before then. Every run adds another member or 2 that pulls the cold air in down here. I really believe there will be a storm around your region as it fits the pattern. Just really hope this can turn into a wound up, comma shape, true winter storm that can share the wealth and finally lay down a decent snow cover. 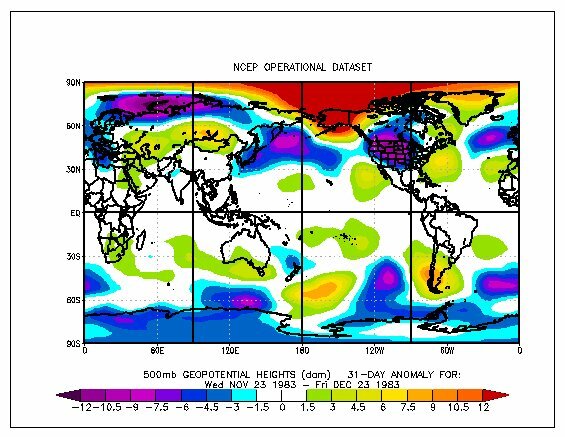 Saw a met post this regarding the latest JMA Weeklies and how they resemble Dec '83 over the next month...might not be to that extreme, I think we will see model volatility going forward. I find that when models begin to see a hint of an extreme shift in the pattern, esp over N.A., as we start getting closer modeling flip flops. The coldest air of the season will bleed across the Pole into N.A. over the next 7-10 days. 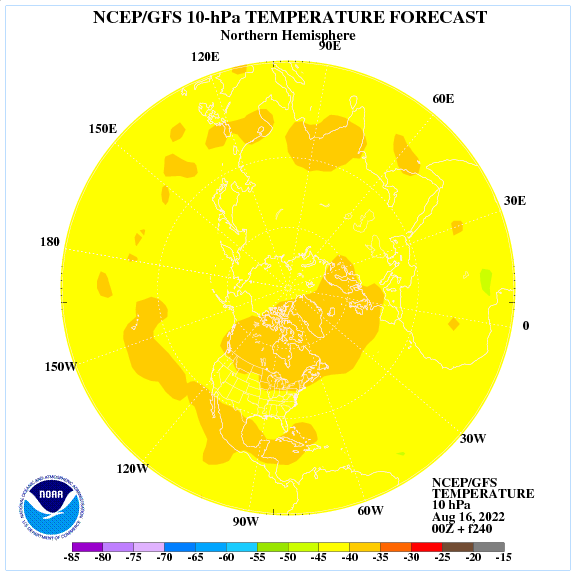 I can't see how this won't help the lower 48 get into a wintry pattern. And it apparently is not just you questioning it, but appears to maybe fly in the face of the vaunted BSR?? Lookin' good buddy! Now u gotta get home and decorate your place for holiday CHEERS! Ha! The 06Z GFS now doesn't even have a storm next weekend. The next big storm is..... 12/8 so only 2 weeks away. The GFS led the way on this cut off low crap we're going to get the beginning of the week, we'll see if it's on to something else now. Right around the 8th of Dec, the coldest anomalies relative to avg begin to shift into N.A. There's just some weird stuff going on right now for sure. What's funny though, right now, is that the Euro is still a massive outlier even going beyond day 5. It doesn't really know what to do after the block over the Pacific relaxes and drifts back east. I'm riding a blend of the GFS, GEFS, and CFS going through the next 2 weeks. They have been dominating in the stratosphere and mjo forecasts for 2 months solid now.